Nefertiti "Nefti" is the heir to the Aeryal's throne. She is graceful, loyal, kind, knowledgeable, wise and worrior. She loves dancing, singing and reading in the palace gardens. But most of all she loves her people and would do anything for them. For the last 100 years she has not spent much time off of the floating city island of Pharos. She has learned a great deal about the languages of the world and their cultures, but it's not enough. She wants to explore the world her people have lived in since it's beginnings. This is the path she has chosen to prove herself worthy of the throne.  Join Nefertiti on her journey around the world of Nia. Stands at 4'11" tall she is rather short but her flight makes up for that. She sometimes hovers above the ground to sit at eye level when she speaks to those taller than her. Her golden blonde hair is rare for an Aeryal (they usually have dark hair). Her wings are full and majestic, as is typical of royals. The feathers like that of a peacock.